This guide will help you deal with the anxiety, fear and other emotions that you may be struggling with. The cancer ‘conveyor belt’ experience can leave you with a range of uncomfortable or unwanted emotions and thoughts. 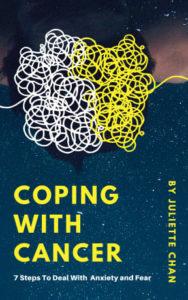 The book’s 7 simple steps will enable you to regain peace of mind and heart so that you are able to live well, even if you are living with cancer. This is the best-selling guide that sets out how you can help yourself following any major life event that invokes grief. 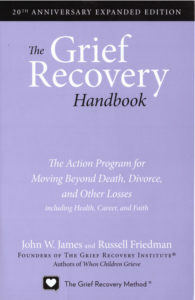 Unlike most books on grief which set out stories of other people’s pain, the Grief Recovery Handbook gives easy to follow steps to guide you through your grief and release the pain. 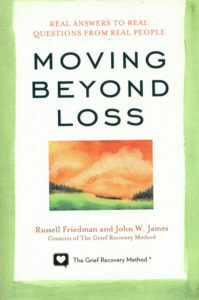 This handbook is a must-read for anyone who has experienced loss and those who wish to help them. As a parent you naturally want to protect your children. Sadly no matter how hard you try they will inevitably have to face grief and loss at some point. 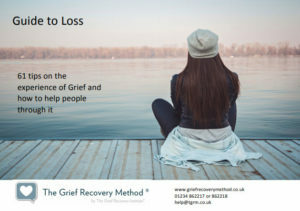 There are many life experiences that can produce feelings of grief in a child, including the death of a relative or friend, a divorce in the family and more every day experiences such as moving house, losing friends, going to a new school, or losing a prized possession. 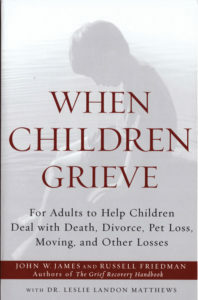 No matter the cause or degree of severity, if a child you care about is grieving, the guidelines examined in this thoughtful book will make a difference. It will help to you free children from the false idea of “not feeling bad” and to empower them with positive and effective methods of dealing with loss. If you’ve found yourself almost inconsolable after your pet died, please know that you’re normal. Whether the loss was because your pet died or you had to give up your pet for some reason, the grief that you’re experiencing is real and completely understandable. 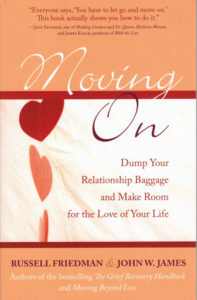 This book will guide you through the steps to help you move beyond this loss and the heart-break. This ground-breaking book shows you how to move on from unsuccessful past relationships and finally find the love of your live. It gives you strategies you need to effectively mourn the loss of your past relationships while opening you up to love in the future. With compassionate guidance, Friedman and James will help you to close a chapter of your romantic past so that you can begin again. Real answers to Real questions from Real People on the topics of grief, loss and bereavement, by the founders of The Grief Recovery Institute. This collection covers every question you might possibly have about grief but don’t know who to ask. 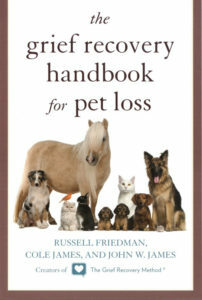 It is based on questions submitted to the exclusive Grief Recovery Corner on www.tributes.com.